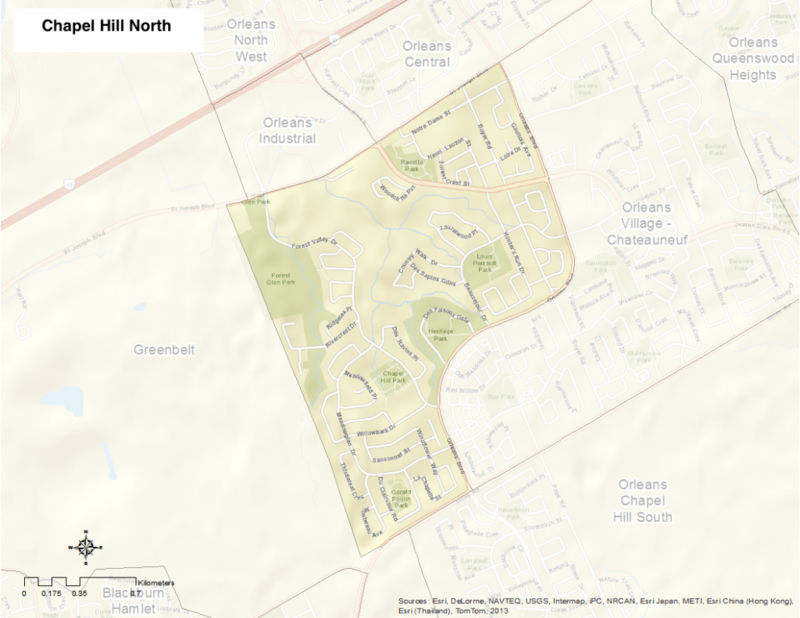 Chapel Hill North is bounded by St. Joseph Boulevard to the north, Innes Road to the south, Orléans Boulevard to the east, and the Greenbelt to the west. This neighbourhood is one of the outer suburban areas of Ottawa. Chapel Hill North was originally part of the City of Gloucester, which was amalgamated with the City of Ottawa in 2001. Here’s an infographic that describes Chapel Hill North as a Village of 100 (2011 data).